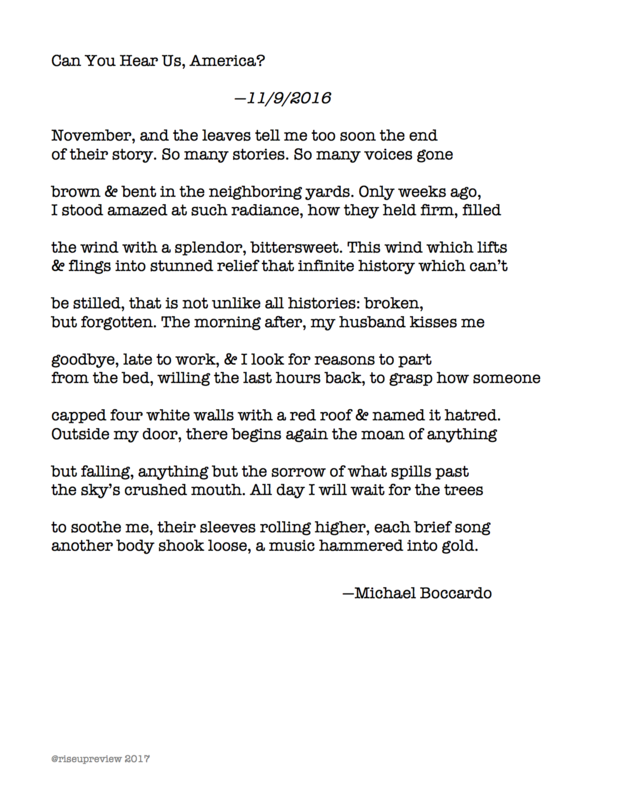 Michael Boccardo was a finalist for the James Wright Poetry Award sponsored by Mid-American Review. His poems have been published in Iron Horse Literary Review, Kestrel, The Southern Review, Weave, Connotation Press, Prairie Schooner, Nimrod, Comstock Review, and Best New Poets, as well as the anthologies Spaces Between Us: Poetry, Prose, and Art on HIV/AIDS and Southern Poetry Anthology, VII: North Carolina. He is a four-time Puschart nominee, a multiple recipient of the Dorothy Sargent Rosenberg Prize, and assistant editor for Cave Wall. He resides in High Point, NC, with his husband and three tuxedo cats.